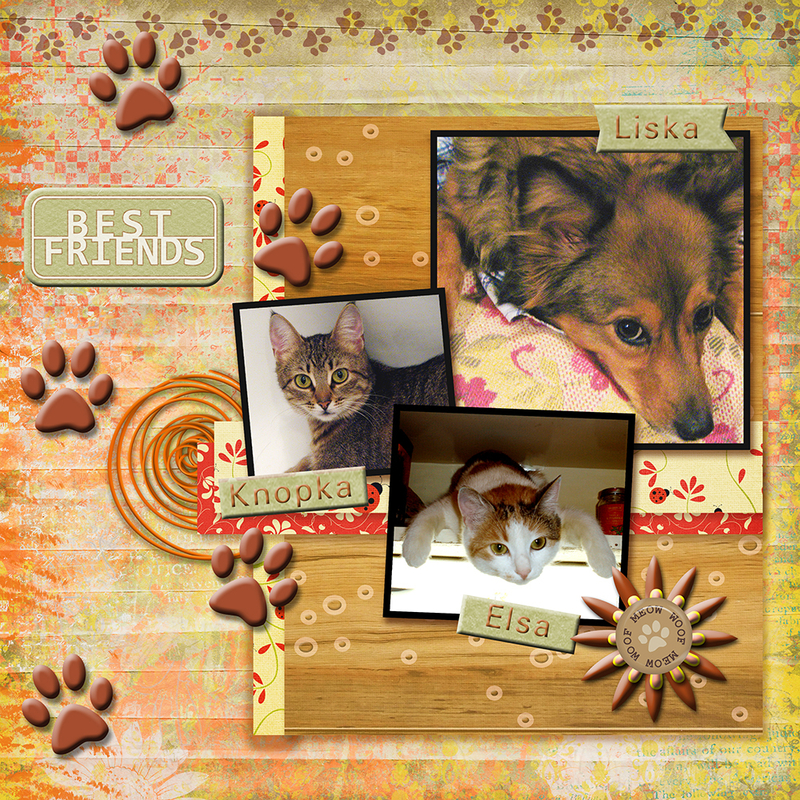 Adorable layout, and fantastic pet photos - those can be so hard to get, and you have beautiful ones! I am from the Ukraine. I love digital scrapbooking. I love Ps & PsP. I love pixelscrapper.com, really cool community and friendly site team.